Money Transfers are an alternative to Money Letters. 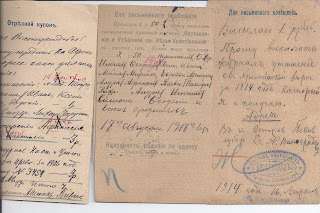 The Imperial Russian PEREVOD forms which you find in dealers' boxes are from post office archives but they are usually not complete.When the money was paid out at the receiving post office, the coupon at the left of the form was cut off and given to the person receiving the money. The post office kept the main part of the form and archived it. The coupons were less often saved and so are less often found. They very often contain messages which indicate why the money was sent.Usually, they are not franked though they may have cancels and marks of various kinds. 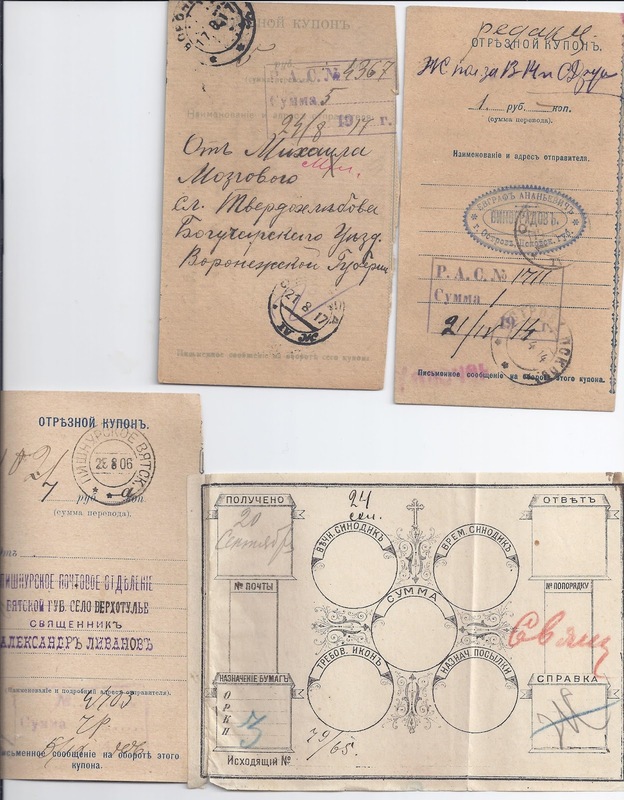 Here are three coupons from Money Transfers sent from Russia to the Russian Andreevski Monastery (Sikt) on Mont Athos, the money sent to pay for prayers and lighting of candles and so on. There are a number of things to note. First, that the three I show are from different printings. When the Perevod forms did not have any stamped value, they did not require Security printing and so could be locally produced. There are many variants and in 1917 - 20 many were locally re-printed with the Imperial Arms defaced or removed. 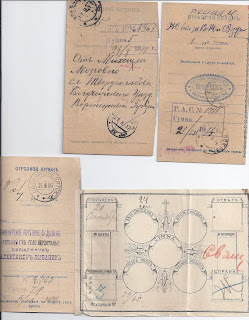 The coupons shown are from the period 1906 - 1917. 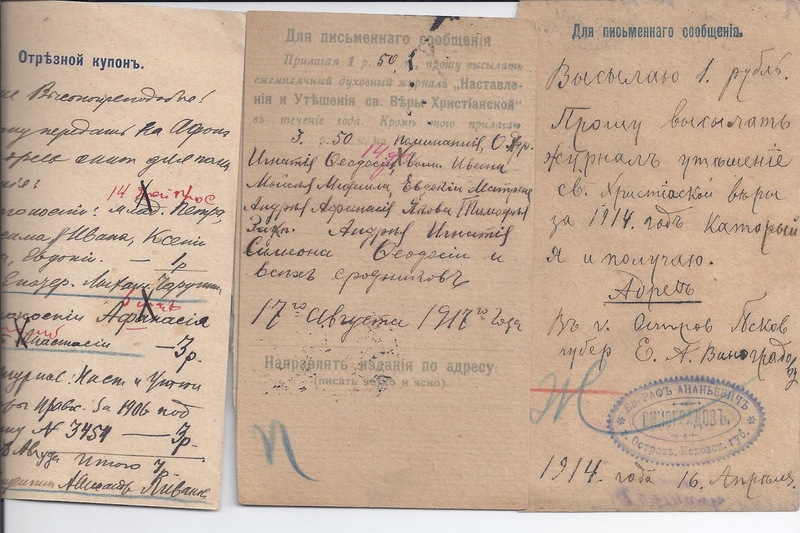 The one from 1917 in the middle of the top image has a pre-printed message as well as the manuscript message. Second, note how much information is squeezed onto the coupons. Third, note that on the 1906 coupon the monastery has attached its own form which is pre-printed to allow for notes to be made on the handling of the transfer. A collection of Money Transfer material should include examples of such coupons to show how the system worked. Telegraphic Money Transfers require separate treatment.